For 140 calories, Chick-fil-A’s Superfood Side is one of our fan favorites! It’s packed with fresh Broccolini® and kale, and topped with dried sour cherries, roasted nuts and a scrumptious maple vinaigrette. Boasting 4 grams of protein and 3 grams of fiber, this small snack is big on flavor. For 50 calories, Chick-fil-A’s chilled Fruit Cup is a combo of mandarin oranges, strawberries and red and green apple pieces topped with blueberries. It’s a fresh and filling way to enjoy 50 calories, if we do say so ourselves. You don’t need a reason to celebrate with our classic Icedream Cone! This frozen treat boasts an old-fashioned vanilla taste at 170 calories and 4g of protein. Power your snacks the Chick-fil-A way – with a bite-sized order of chicken, of course! 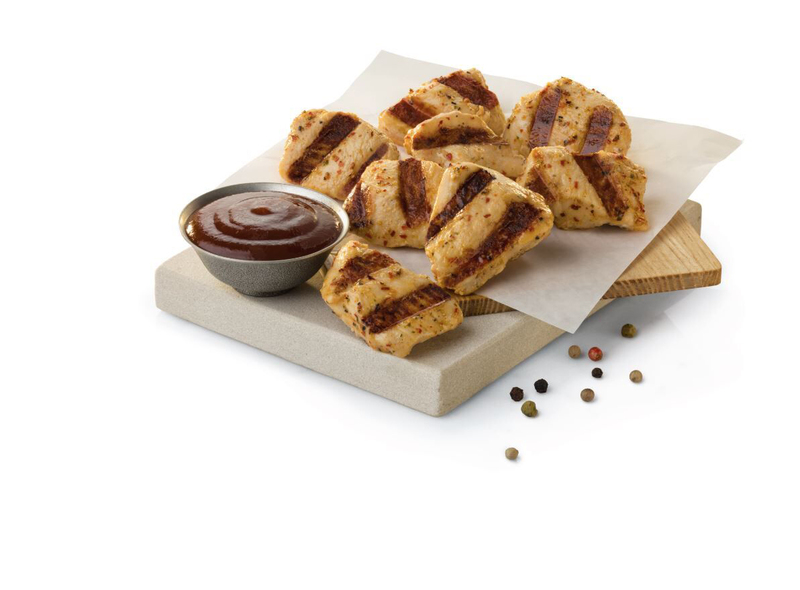 Try our Grilled Nuggets for a juicy, backyard-grilled taste. Our eight-count clocks in at 140 calories and 25g of protein, which still leaves room for one of our sauces – try the Honey Mustard (45 calories), Zesty Buffalo (30 calories), Sweet & Spicy Sriracha (45 calories) or Barbeque Sauce (45 calories) to complete your snack. We’ve got you covered when the cravings strike between breakfast, lunch and dinner. Order any of these four options (or the rest of the menu) easily through the Chick-fil-A mobile app!